The investigation of carbon cycles is very important in the exploration of process patterns. A scientist at Andrews Forest Long Term Ecological Research site in the Oregon Cascades explains the role of trees in the carbon cycle and how various factors affect the rate of growth of trees. • Estimate the height of trees using three different methods. • Design playground equipment with donated wood. • Compute the amount of wood required to build a house. 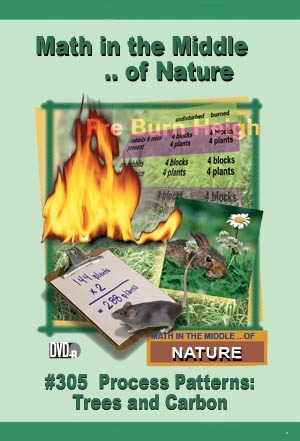 • Investigate the use of wood as energy sources.